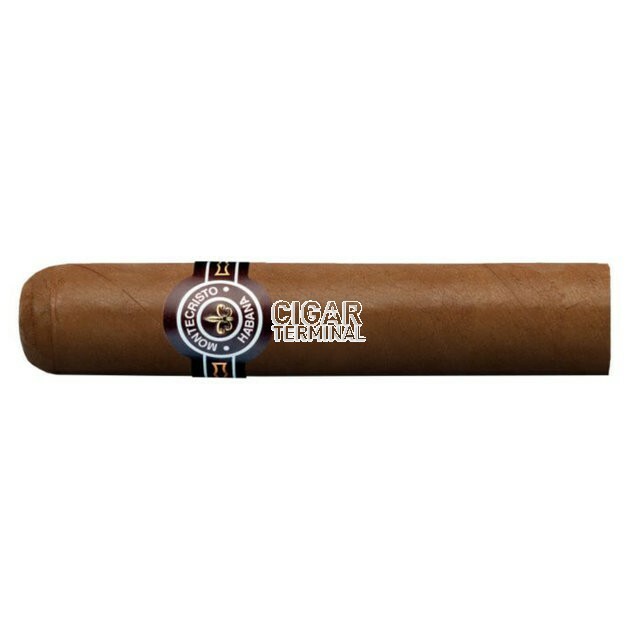 The Montecristo Media Corona is a medium-full short Habano, a Half-Corona No.2, 3.5” (90mm) long, of 44 ring gauge, and comes in a box of 25 cigars. As other newer cigars, Habanos released this very short vitola (the shortest hand rolled cigar along with the H Upmann Half Corona), that fits perfectly the need for customers to enjoy a Cuban cigar in a short time. This vitola is totally hand made with long filler, using leaves from Vuelta Abajo, known for producing the best tobacco leaves in the world, in the region of Pinar del Rio. As expected from Montecristo, the Media Corona is perfectly rolled, a great draw and smokes beautifully. 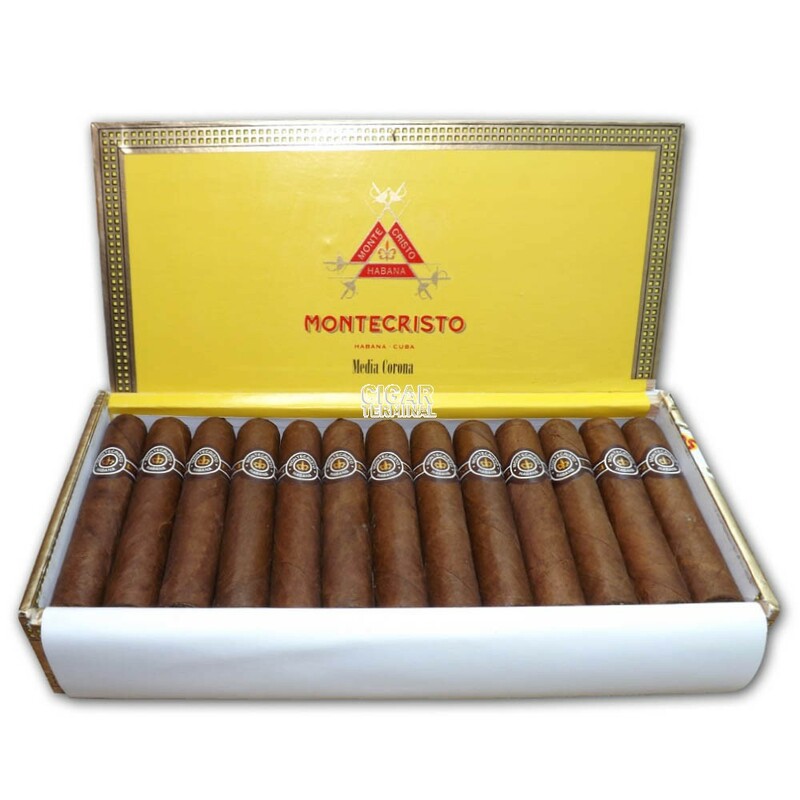 It is a bit more powerful than other Montecristos, because of its shorter length, so expect a body ranging from a medium to a medium-to-full. The flavor profile is typical of Montecristo, sweetness, cream, cedar, nuts, floral notes and coffee. It is a beautiful cigar that should be a hit among Cuban cigar aficionados. 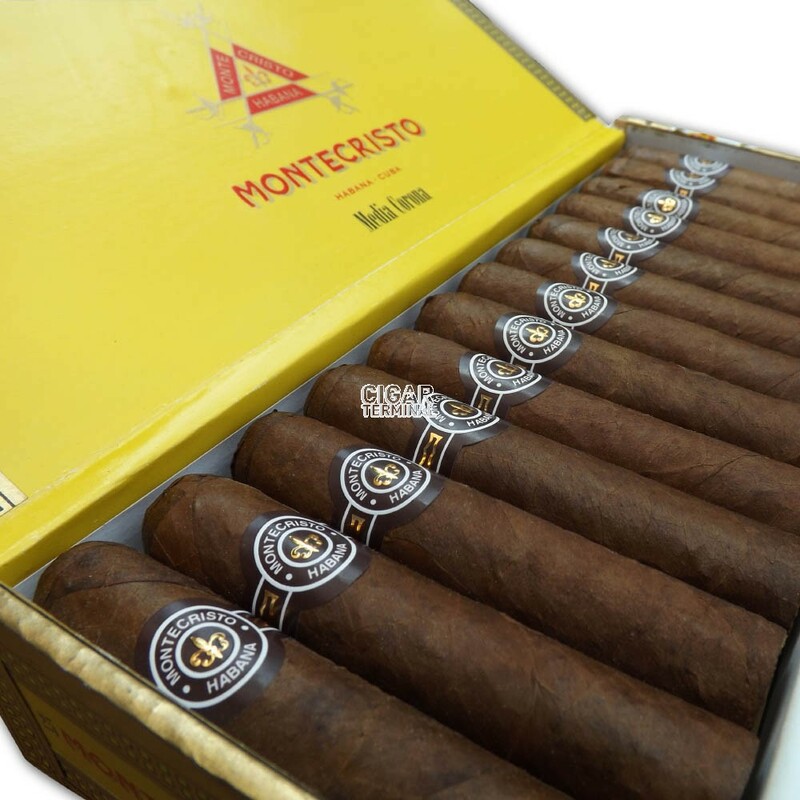 The Montecristo Media Corona is a very good option for a medium cigar and when the time is of the essence. • Fairly complex cigar, with strong wood flavors, notes of black coffee and some appreciable sweetness. • Rather young cigar however, 2 years of aging should develop the complexity and richness of this stogie to world class.. It is ideal to get 4 boxes of it, because it is enjoyable out of the box but also deserves to be aged. The cigar is looking good and very well rolled, there are no bumps, the seams are invisible and despite one apparent vein, there is minimal veining. The triple cap is beautiful, and the wrapper has a nice medium to dark brown color. Construction looks also good as there are no soft spots and the foot is tightly packed. The wrapper smells of tobacco and savory cedar. Once clipped the cap, the Montecristo Media Corona reveals a great draw, perhaps just a tad too tight, but still very good, and at cold we get a bit of floral sweetness, dried fruits and some wood mixed with tobacco. It gets lit up easily and the first draw gives a lot of cedar, a little bit of sweetness, a nice tobacco flavor but no smoothness at all. There is a bit of cream on the finish, with some floral characteristics. The burn line is a bit wavy for about the first third, but then corrects itself. A nice and dark gray ash builds up at the foot and holds on pretty well for about an inch long. The cigar produces a generous creamy yellowish smoke. The cigar starts off mildly with nice woody flavor, along with some sweetness. There are also flavors of roasted nuts and of bread/dough kind of flavor. There is almost no harshness in the cigar despite its young age, but there are some darker flavors as well, such as earth and of dark roasted coffee. The body of the cigar is at a medium level now. There is just a bit of spices, but overall, it is pretty sweet and mild. In the middle third, the strength of the Media Corona is ramping up, it is somewhere around a medium and a medium-to-full body now. The sweetness and the creaminess are all gone now, there is a hint of bitterness from the black coffee, and some leather on the aftertaste. The dominant flavors are of wood and toasty tobacco, there are also some notes of dark bread, and some pepper. In the final third, the flavor profile remains pretty much the same with a lot of wood, and some toasty bread while there is no more sweetness. The cigar is getting warm a bit towards the end, while the body remains in the medium to full range. The cigar is still burning fine, but it is still a bit young at this point to really develop aromas until the nub. In summary, the Montecristo Media Corona is a good short cigar, pretty powerful with nice woody and nutty flavors.